The 2019 model year is a momentous one for domestic-brand full-size pickups. The Chevrolet Silverado, GMC Sierra, and Ram 1500 are all redesigned, and the Ford F-150 sees some notable updates. As always, these big haulers are available in a dizzying array of body and cab styles, trim levels, and powertrain options, and the GMC Sierra roster gets even bigger with the mid-year addition of the new AT4 trim level and an accompanying performance package. 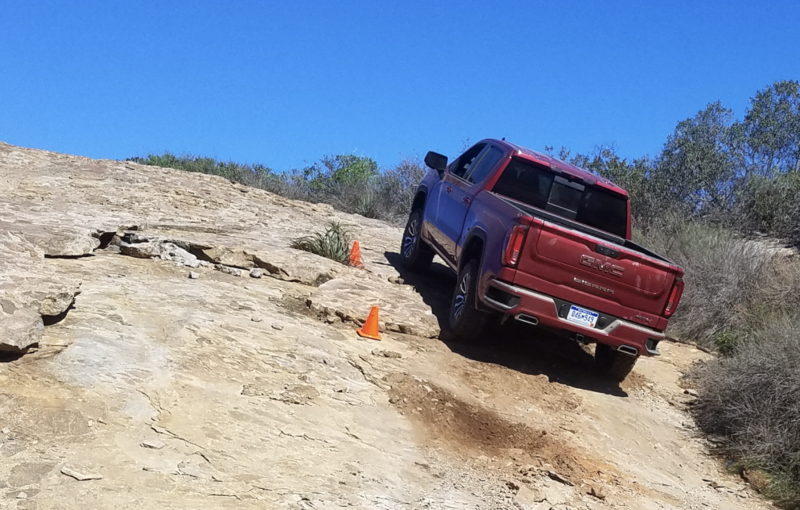 The Sierra AT4 can be considered GMC’s answer to the Chevrolet Silverado Trail Boss and Ram Rebel models; it’s an off-road-focused model that includes several functional and appearance features. On the functional side are standard 4-wheel drive with a two-speed transfer case and locking rear differential, skid plates, off-road-tuned Rancho-brand monotube shock absorbers, hill descent control, Traction Select System, GMC’s MultiPro configurable tailgate, and red recovery hooks in the front bumper. Special appearance features include a body-color grille surround, door handles, and bumpers; a black chrome finish on the fog lamp bezels, fender surround, and grille insert; an exclusive wheel design with a dark-tinted, machine-faced appearance; unique interior trim with Jet Black/Kalahari color accents; and special badging inside and out. The AT4 comes standard with GM’s 5.3-liter V8, but both the 6.2-liter V8 and the Duramax 3.0-liter turbodiesel inline six are optional. The 6.2 boasts 420 horsepower in standard form, but in the AT4 it can be outfitted with a Off-Road Performance Package that adds a performance air intake, a cat-back performance exhaust system, and a set of extra-knobby Goodyear Wrangler DuraTrac tires. The package tacks on a hefty $4940, but that includes the $2495 cost of the 6.2 engine itself. And, those powertrain upgrades free up another 15 horsepower and 9 lb-ft of torque, for a total of 435 and 469 respectively. 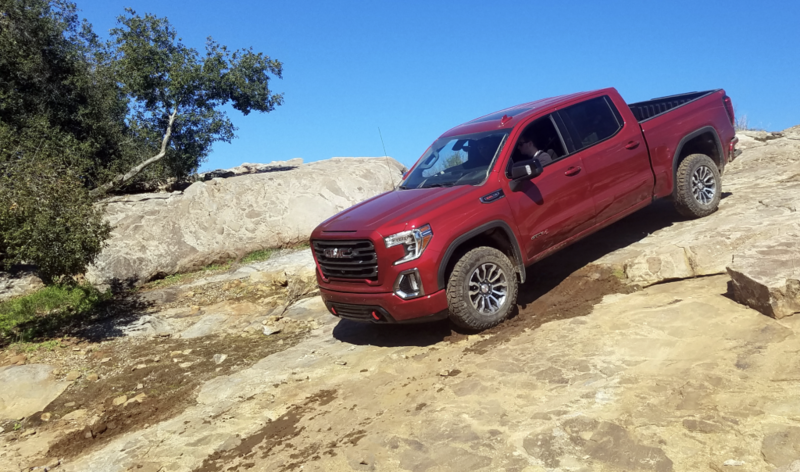 You can check out our First Spin review of the 2019 GMC Sierra for the full scoop on the MultiPro tailgate and the Sierra lineup’s other new features. Here, we’ll focus on the specifics of the AT4 with the Off-Road Performance Package. We headed out to San Diego, California, to check out the hottest version of the AT4 on both paved roads and some light off-road trails. Our test vehicle was a crew cab that was optioned up with the Off-Road Performance Package (naturally), plus the AT4 Premium Package ($3100), $1875 Technology Package ($1875), Driver Alert Package II ($745), and a power sunroof ($995). All AT4s get a two-inch suspension lift, unique 18-inch wheels, dark-finish body trim, badges on the front doors, and red recovery hooks in the front bumper. The AT4 Premium Package consists of a universal home remote, rear sliding power window, navigation system, Bose premium audio system, wireless device charging, front and rear park assist, lane-change alert with side blind-zone alert, rear cross-traffic alert, trailer tire-pressure monitor system, and dealer-installed black rectangular assist steps. 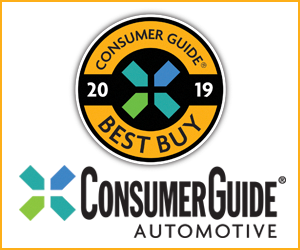 The Technology Package adds HD surround-vision camera displays, rear camera mirror, multi-color head-up display, and an 8-inch multi-color digital driver info display. The Driver Alert Package II delivers more active safety features, namely forward collision alert, lane-keep assist with lane-departure warning, low-speed forward automatic braking, front pedestrian braking, automatic high-beam headlights, following distance indicator, and GM’s Safety Alert Seat, which vibrates to alert of possible crash threats. The Sierra AT4 interior wears unique dark-finish trim, as well as Jet Black leather upholstery with embroidered headrests and Kalahari (a caramel tan color) accents and contrast stitching. That’s a healthy load of equipment, and it pushed the grand total our test vehicle to $65,970, up from a starting MSRP of $53,200. That’s at the upper end of the price range for a half-ton pickup, particularly for a non-Denali model. It’s also notably spendier than the Chevrolet Silverado Trail Boss and Ram 1500 Rebel pickups we’ve tested recently, though those weren’t optioned up to the level of this truck. One thing became immediately apparent when we hopped into the AT4 and fired it up: GMC wasn’t messing around with the performance exhaust system. The 6.2 barks to life with a very hairy-chested rumble, and it emits a basso muscle-car growl once underway. The testosterone tone settles down a bit when cruising, but it’s always there—and it might grow tiresome for some shoppers (we loved it, however). The AT4’s driver information center includes a handy off-road inclinometer readout, and the multi-view Surround Vision camera system provides helpful configurable views in the central touchscreen display. As expected, the beefed-up 6.2 provides satisfying acceleration. We’ve been impressed with GM’s 10-speed automatic transmission in all the vehicles we’ve tested it in, and this one is no exception. 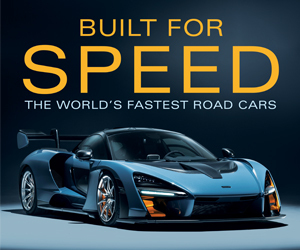 It’s smooth and unobtrusive in regular driving, and it never seemed to have to “hunt” for the proper gear. The Technology Package’s multi-view camera system is a great aid in off-road driving; it can simultaneously display a 360-degree bird’s-eye view of the vehicle, as well as a bumper-level forward view that helps in spotting obstacles that might not be visible from the driver’s seat. Also helpful is the driver-info display, which includes an off-road inclinometer that indicates fore-and-aft tilt, front-tire steering angle, and left-and-right tilt. The extra-knobby Goodyear Wrangler DuraTrac tires are great for off-road grip, but they make for a noisier, slightly coarser ride on pavement. A couple of key AT4 optional features, both of which come with the Off-Road Performance Package, are GM’s burly 6.2-liter V8, and rugged Goodyear Wrangler DuraTrac off-road tires. 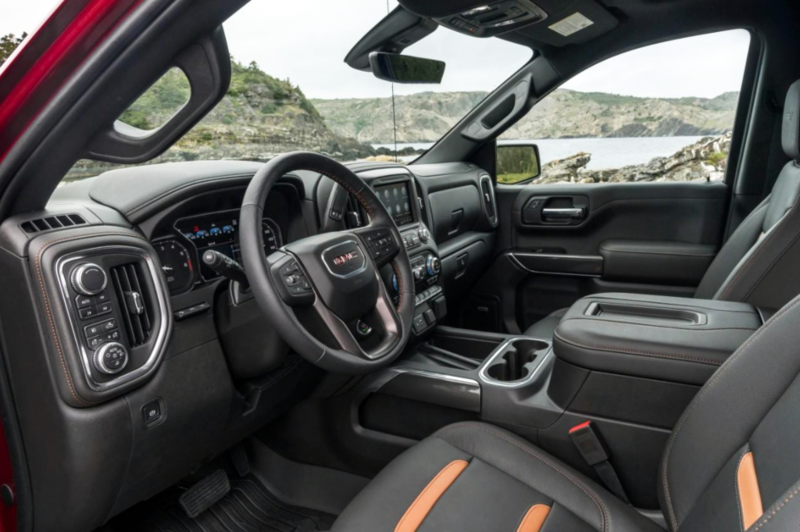 The AT4’s distinctive interior trim is mostly in keeping with GMC’s “premium off-road” intentions, but there is a fair amount of cheap-looking plastic in the lower regions of the cabin. Even though the new Ram 1500 Rebel is positioned downmarket of the GMC Sierra, we think it matches the Sierra AT4 in cabin ambiance and visual appeal. The sales volumes of full-size trucks are so large that it behooves manufacturers to cover all the bases with specialized models like the AT4. It delivers an extra dose of off-road capability and, when equipped with the Off-Road Performance Package, a bit of added muscle—all while standing out from its Chevrolet Silverado Trail Boss cousin by offering a distinctive upscale vibe and GMC’s exclusive features. 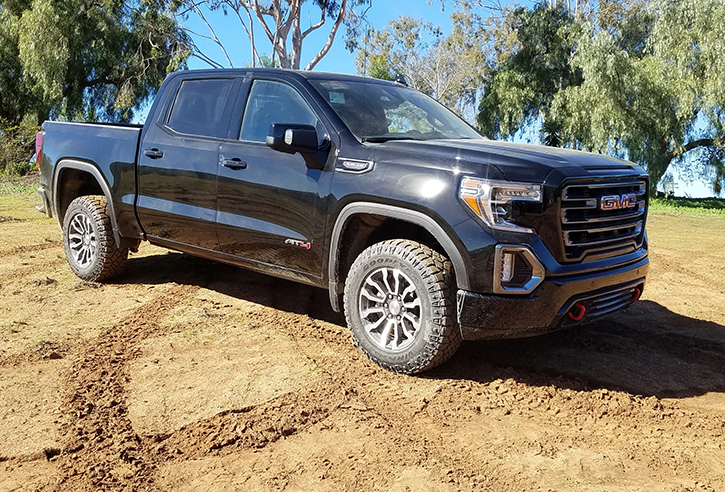 The AT4 trim level gives the GMC Sierra some added off-road prowess, and the AT4’s optional Off-Road Performance Package provides some extra muscle and attitude. Written by: Damon Bell on February 1, 2019.